This guide describes how to modify php.ini file on shared hosting server. 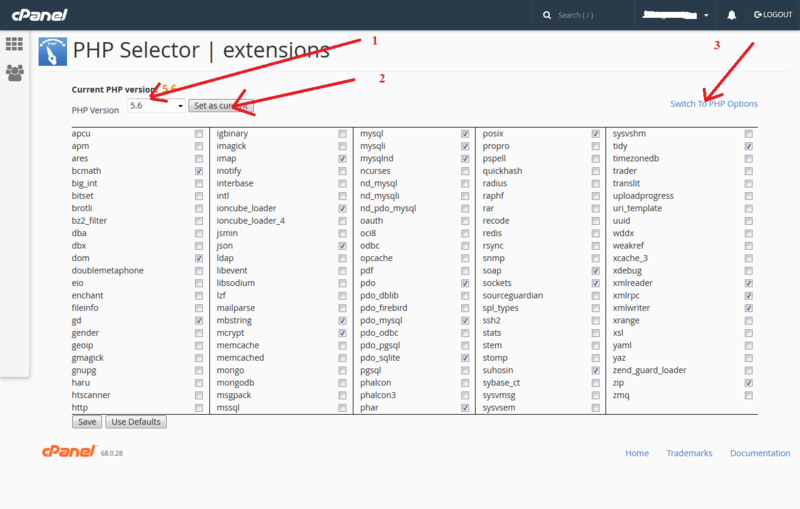 With the help of PHP Selector, you can easily change php version or modify php.ini value on our shared servers. You can easily modify basic PHP settings in your cPanel > section Software/Services > Select PHP Version menu. Change native php to any other version and click on the “Set as current” button. Then click on the “Switch To PHP Options” and you will see php ini values. Now click on the values and select the values from drop down or write in text box. Then click on the “Apply” button. After change your required values, click on the “Save” button. However, advanced PHP settings are missing from PHP Selector tool, and they need to be manually configured in the php.ini file.